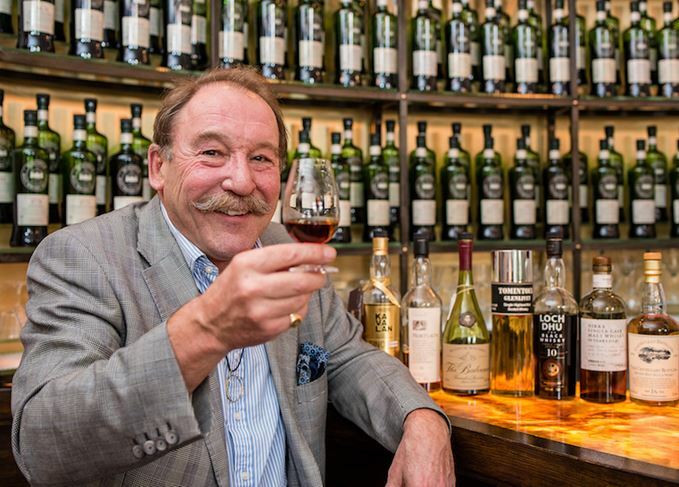 The Scotch Malt Whisky Society’s (SMWS) new Edinburgh bar features a ‘guest list’ of 30 old and rare whiskies chosen by Charlie MacLean – the first time the SMWS has offered non-Society bottlings. The whisky writer sourced the bottles – all of which have been discontinued – both from auction and from his own personal collection, for the SMWS’ recently refurbished Kaleidoscope bar at 28 Queen Street. There are 21 Scotch whiskies bought at auction, including a Dufftown-Glenlivet 12-year-old distilled in the 1960s, a Balvenie Founder’s Reserve distilled in the 1970s, and a Mortlach Flora & Fauna 16-year-old. Nine more whiskies, taken from MacLean’s personal collection, include a Japanese Hakushu 18-year-old and Kavalan Solist Fino Sherry Cask from Taiwan. It is the first time that the SMWS, which bottles single cask single malts for its members, has sold non-Society whiskies at its bar. ‘The Scotch Malt Whisky Society looks at whisky through the lens of flavour, and my idea for this guest selection is to encourage everyone to explore how whisky flavours have evolved over the past decades,’ said MacLean. The whisky writer has selected 21 single casks to mark the Society's 35th anniversary.